NEW 2018- WIFI in the mobile homes and on all campsite area! The vans are spotless and ideally placed, on this site, giving a balance between sunlight and shade. The site is ideally placed just behind the dunes so it's a very short walk to a great beach. The site has a great pool area with main pool, water slide and a shallow pool for the young ones. Bar and club on site, with evening entertainment and a kids club. The site shop is handy for your morning crossant and basic items but there is a huge supermarket close by, in St Jean de Monts, which has also a great selection of bars ans restaurants. The restaurant on site was great with mussels, fish, pizzas etc. We had a table for 17 and the service was first class, the food arrived at the same time and was piping hot, so big thank you to Seb and his staff. We had fours units and they were excellent, clean, well equipped and only about a year old. Fabrice, the owner, was fantastic, and any problems reported to him are sorted within the hour. All in all a great time was had on this site and we are already planing to return next year. Many thanks to you Fabrice. Lovely new clean accommodation on a nice friendly camp site. Easy access to a great beach & pool. The property was exactly as advertised - new 2018, very modern, clean & well equipped. Martin, the owner, was very quick at responding to any queries, before & during the stay. The on-site shop stocks most essentials & sells some of the best croissants & pain au chocolat that I have ever tasted. We ate in the onsite restaurant twice & had 2 very enjoyable meals - both children & adult meals. We also ventured into St Jean de Monts where there are many good restaurants along the sea front. The property was very clean and more than adequate for the 4 of us, 2 adults and 2 little ones. 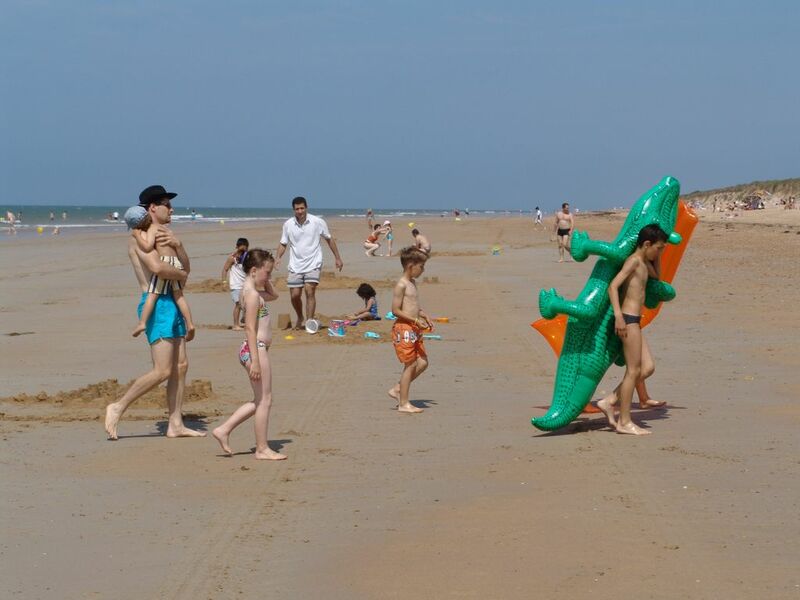 The camp itself is great for children, lovely pool, great beaches, very relaxed. I would certainly recommend it. Lovely new mobile home in a lovely quiet corner of a clean and well run site. Perfect for families with the sandy beach only a short walk away on a safe path through the dunes. The site is well located for all the local attractions and the cycle paths are not to be missed. We were very impressed with the accommodation! We are a family of five and found it perfectly sized. Mobile home was brand new so in perfect condition!! Very happy with campsite which was a stones throw from the beach! Would highly recommend and will be booking again! Thank you ! On two Thusdays in July an August the town closes the main streets to traffic and goes back to the 1920's. there are carriage rides, folk dancing, local crafts and most of the shops have displays and staff in local costumes. there is even a retro "tour de france" on vintage bikes. Hundreds of great french food restaurants, best La Quichnote a beautiful old traditional thatched "bourinne" wich serves good regional dishes including eels and frog legs. Zoo at les sables d'olonne town, invite you into the animal kingdom. Amazing Water Chutes Resort in Saint Jean de Monts for a day , named Atlantic Toboggan.